Russell will be playing two nights at the legendary Bourbon Street Blues Club in Amsterdam (http://www.bourbonstreet.nl/) on Wednesday 5th and Thursday 6th November. 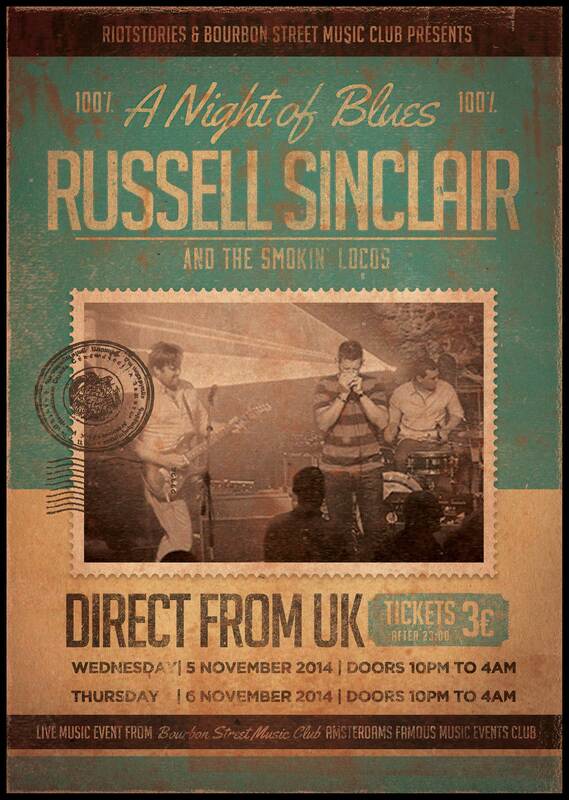 On both nights Russell will be playing with his regular backing band – The Smokin’ Locos. This is the first time for the band playing in Amsterdam and everyone is hoping to make it a special occasion and one to be remembered. If you live in or around Amsterdam and are able to make it to one of the shows please stop by and say hello – having travelled to play it’s always nice to have a chat and to put some names to the gig. The entire band are looking forward to seeing you there. Sadly, Cameron is unable to make these dates due to other commitments. However, drum duties will be filled on both nights by Sebastian Boleslawski. Seb is an outstanding drummer with lots of experience in many different musical genres so it’s sure to be a fun couple of nights.